In 2010 BMW launched an attack on the super bike world. Long had it toyed with the market by releasing boxer engined bikes with fairings to which Fireblade and R1 owners scoffed and sneered. Then in 2010 they fired a ballistic missile into the market with the S1000RR, a 180 bhp, superbike based on the gsxr K5 but with Traction control, abs, quick shifter and, if specced, heated grips. It blew the super bike world apart. Now we are firmly in the tech revolution, most manufacturers have caught up (finally Suzuki!) 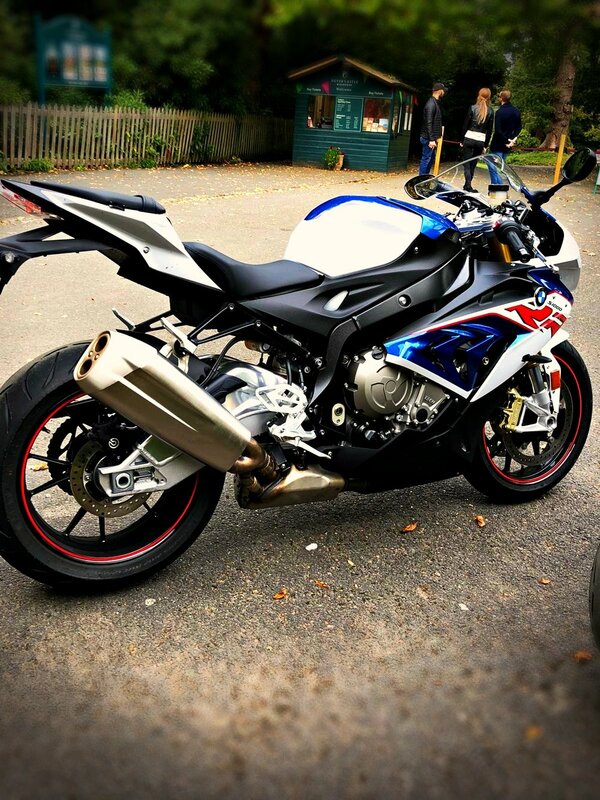 but the S1000RR retains its crown and has seen off many challenger through the 8 year cycle. So what of todays S1000RR, how has it matured and managed to keep its title? 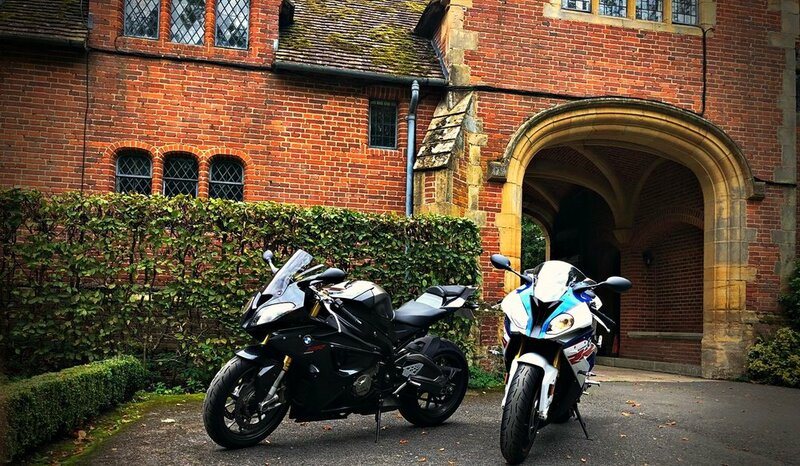 8 years is quite a long time in bike terms but it goes to show that all that research and development BMW put into the S1000RR back in 2008, has paid off. Today we have both bikes, one from 2010 and one from 2018. The 2010 bike is a 15k miler in Thunder Grey. It is kitted with all the options (except heated grips), the 2018 in M Sport colours it has just been run in and has all the options. Performance wise the bikes are matched on the roads each have that relentless grunt to 11000 revs just before the final power pulls your arms off and blurs your eyes to the redlines. The new bike has 500revs more but on the English autumn roads we don’t care. Roll on 3rd gear acceleration is a match too. Riding the twisties the older bike shows more character in the throttle action and suspension set up. The bells and whistles on the new machine dial out the bumps and make the ride very smooth indeed. There is a distinct mechanical feel to the old machine which makes the front feel heavier when riding and especially through a change of direction. The new machine is like Firefox, you just have to think left and in it tips. Power is instant on the 2018 model too, instant instant, it is such a difference to the 2010 bike which feels like an old carburettor bike in comparison. The 2018 bike is devastatingly easy to ride this is largely thanks to the modern support functions and suspension but it doesn’t numb the riding experience. What it does is it allows you to really focus on the tenth tenth. The original machine has guts, lots of them but you just need a good old fashioned bit of muscle to go with it. We wonder if the modern bikes are too much for humans to cope with, where is the development heading and who can really take them to the edge of performance (ok, Peter Hickman can) but for mere mortals ? The S1000RR shows us the way, it tells us to change the way we ride, chase the tenth tenth because you now can (not on the road though). The technological and mechanical developments have taken some experience away but they have opened a door to a set of new emotions to discover. That is what biking is all about and that is why we love it. 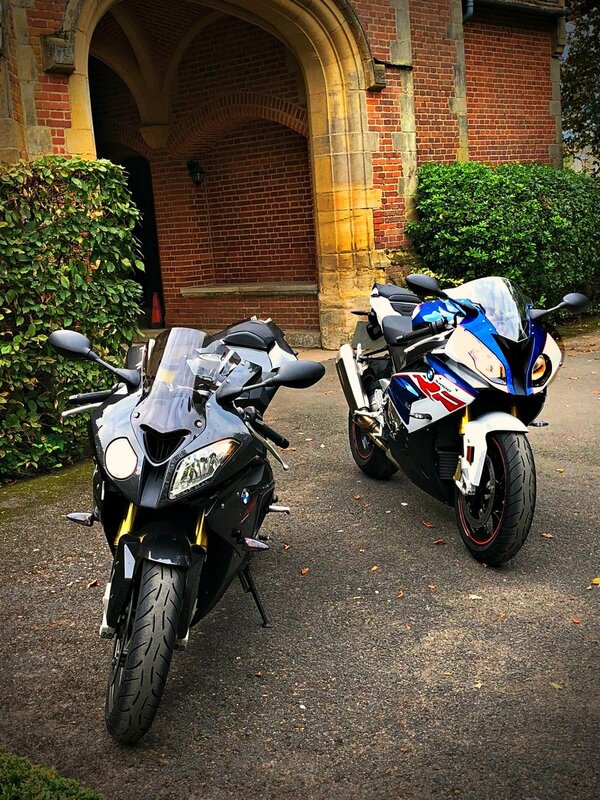 Both these bikes are awesome, simply because they are bikes but each of them have fundamentally changed the way we ride in both 2010 and now in 2018. Who cannot wait for the 2026 model…. hybrid anyone ?